The Niagara USA Chamber today announced its award winners for the Chamber Honors Gala on March 22nd. Honorees include Nik Wallenda, Father Joseph Levesque, Dr. James Klyczek, Certo Brothers and Timothy Mulvey of Mulvey Construction. 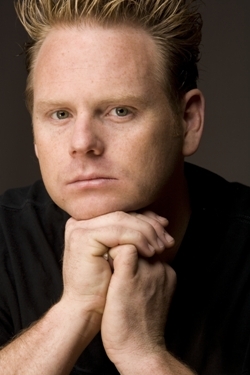 Mr. Wallenda will also serve as keynote speaker for the event. Father Joseph Levesque, C.M., President of Niagara University, will also be honored as he steps down from his post after 13 years of service. Father Levesque has served on the chamber board during his entire tenure at Niagara and was instrumental in helping bring Niagara County’s leading business organizations together in a county-wide chamber. Father Levesque will be receiving the Community Advocate Award for his service not only to the University but his dedication to our region. The Chamber will also be honoring Father Levesque in one other way; the Community Advocate Award will be renamed the Father Joseph Levesque Award for Community Advocacy. Dr. James Klyczek, President of Niagara County Community College, will receive the Chairman’s Award. Dr. Klyczek is being recognized for leadership and dedication in making the Niagara Falls Culinary Institute a reality. The institute is already ahead of projections and is recognized as a linchpin to a rejuvenated downtown Niagara Falls. Also honored at the Gala will be Certo Brothers Distributing as business of the year and Timothy Mulvey of Mulvey Construction as Business Person of the Year. For information on attending the event, visit niagarachamber.org or call (716) 285-9144.